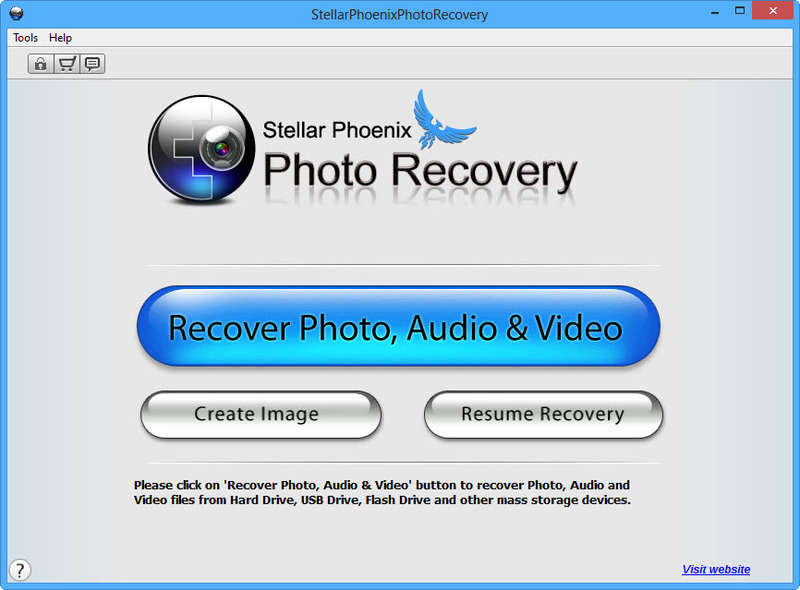 How to add new header types for recovering Photo on Windows/Mac? 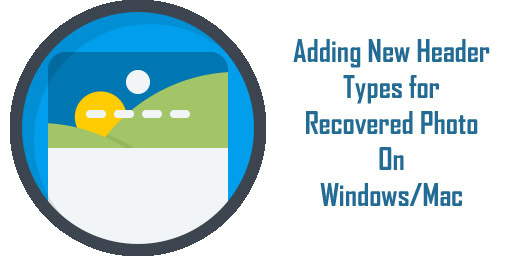 To add new file headers in the Rescue photo recovery software for this you have to customize the software according to your needs by adding new file headers to the software embedded database of default file formats. 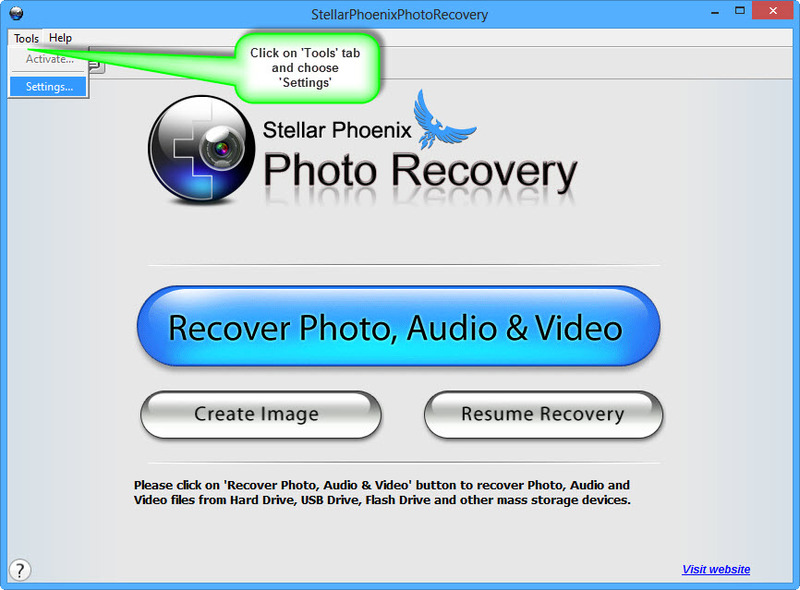 This feature enables you to recover the specific file type that the photo recovery software supports. Today’s media player supports a wide range of video and audio formats. 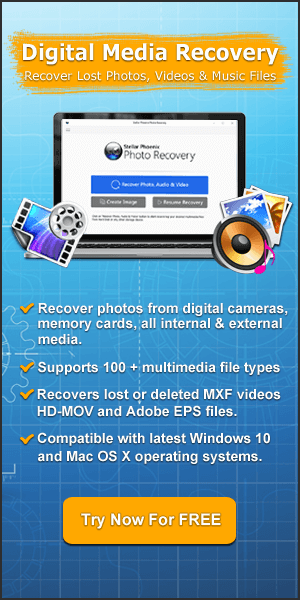 Nowadays a single application requires a support of hundreds of digital audio, video and images file formats. 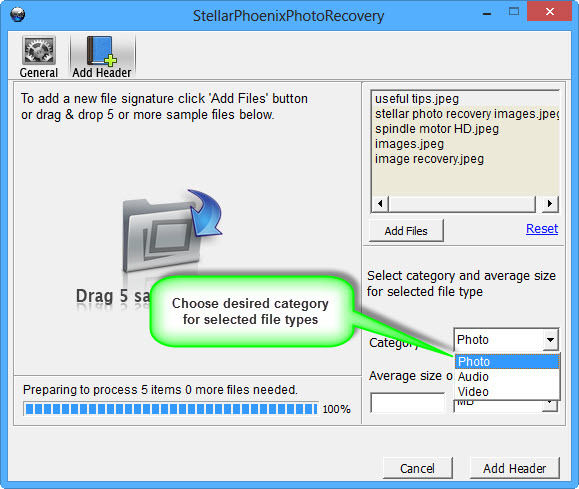 If you need to recover all these file types those that is not supported by the Photo Recovery Software then you can add the specific file header to the software inbuilt database of the supported file format. 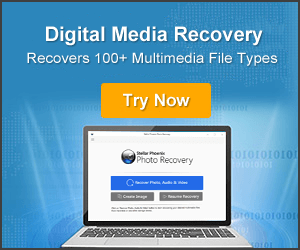 Then the software will able to recognize the file type and then it is easy to recover all the media files that belong to that specific file type. Step 2: Then on the “Tools” menu, click on the “Set Click” add header button on the software window. Step 3: Then click on the “Add Header” button on the windows. Step 4: Then click on the “Add Files” to choose the files of the file formats that you want to add to it. 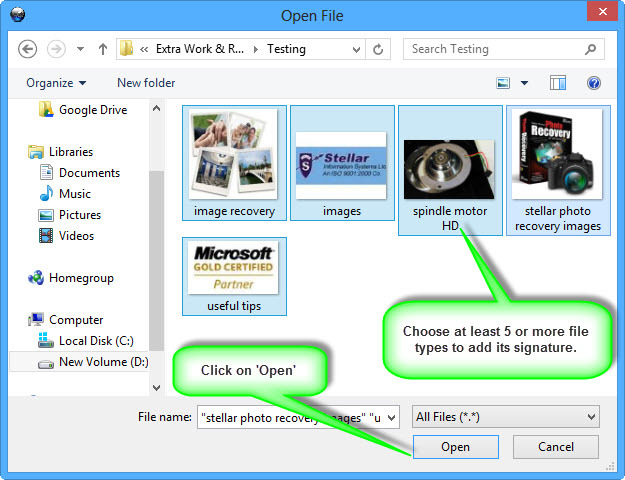 Step 5: Navigate through the folders to select at least 5 files of same file format and click on “open” button. 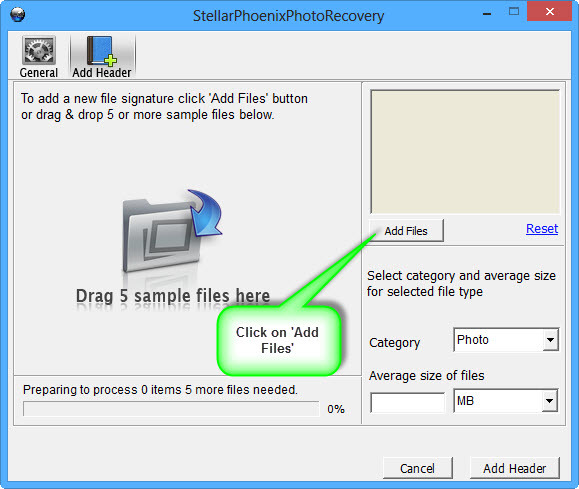 Step 6: Then the respective names of the files will appear in the upper right box. Then choose the category for adding file type in the “Category” drop down list. 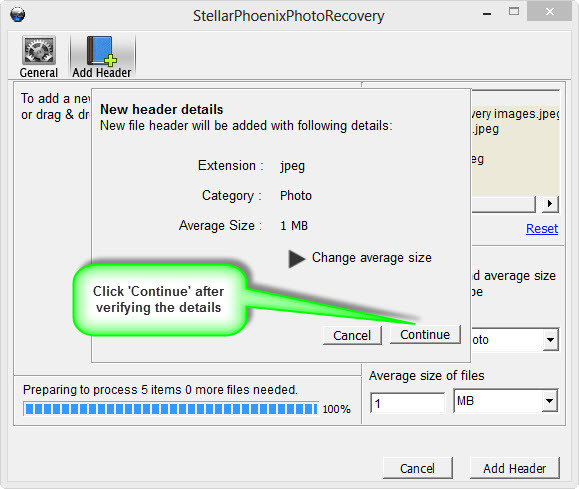 Step 7: then define the average file size of the new format in its “Average size of files” box. Once this process gets completed then clicks on the “Add Header”. After verifying all the details click on the “Continue” option. 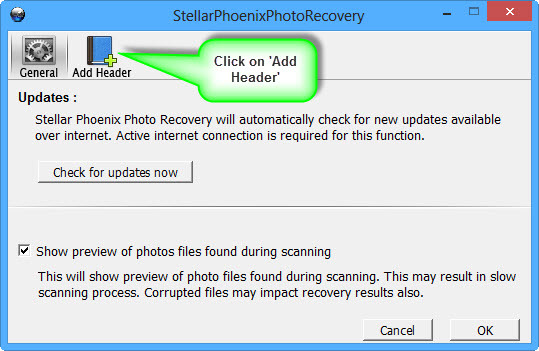 Step 8: after this confirmation dialog box will appear stating that the “New header added successfully”. After this now check on the “File List” tab in the “Advanced Scan” window you will notice a new file type in the list of supported file formats.